FYI: Chrissy is wearing a Maison Yeya dress, Stuart Weitzman shoes, Jaipur Gems earrings, Yvan Tufenkjian rings and carrying a Jimmy Choo clutch. FYI: Anna is wearing a Jenny Packham dress, Chloe Gosselin shoes, Neil Lane jewelry, and a Nancy Gonzalez clutch. Stephen is wearing a Giorgio Armani tux and shoes, an IWC watch, and Montblanc cufflinks. Sandra is wearing a Prabal Gurung dress, Gina shoes, Irene Neuwirth jewelry and a Jimmy Choo clutch. 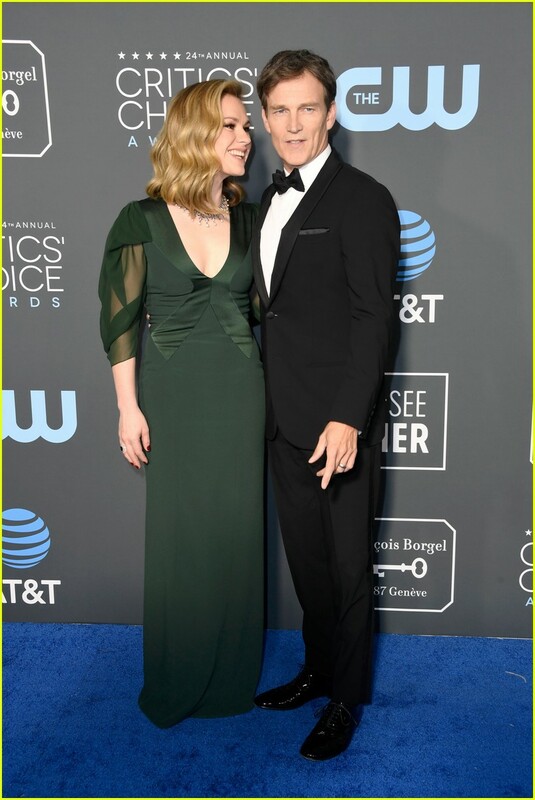 FYI: Amy is wearing a Zac Posen dress, David Webb jewelry, an Edie Parker clutch, and Jimmy Choo shoes. Chrissy's earrings are mid-80s Days of Our Lives level tacky. Anna Paqin actually looks nice from the side...I didn't recognize her. pinkbunnyslippers, rollo, C_is_for_Cookie and 4 others like this. Why do I always feel like I want to punch Chrissy Teigen in the throat? ChemicalHelena and DawnM74 like this. Chrissys face has the same botox/filler sneer as Khloe Kardashian when she smiles. It just looks bizarre. DawnM74 and rollo like this. I think Anna looks great. When you have that much work done on your face, don't even try to smile! DawnM74 and Sleuth like this. How is Chrissy a model? I really like Sandras dress, but her hair is so bad, it ruins the whole thread. Angeli, Beeyotch and DawnM74 like this. The bangs are not working for Sandra Oh. LOVE Amy's earrings, but that dress makes her look like a linebacker. Chrissy looks like she matched her lipstick to her husband's suit, which is unfortunate. The color just does not work with her face or her dress. 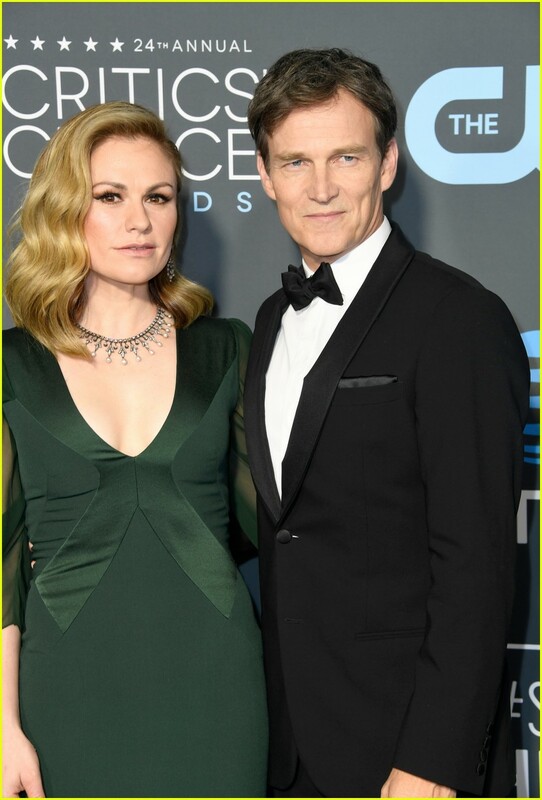 Anna Paquin is wearing a beautiful necklace and looks good here. 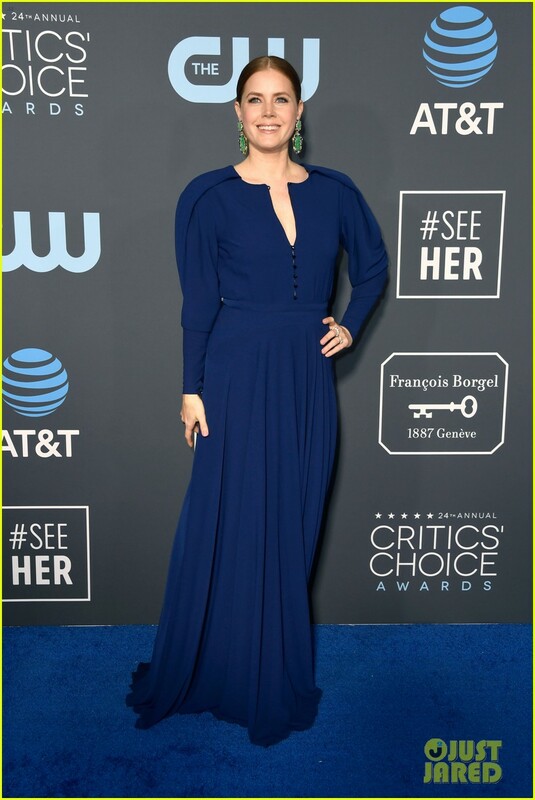 Amy Adams looks great in that color, but the shoulders just don't work on that dress. Sandra Oh needs to lose the bangs, but keep the dress. Someone remind me what Chrissy models for. I don't get it. Anna is looking as good as she can. I really like Sandra's earrings. That's all.